Good! 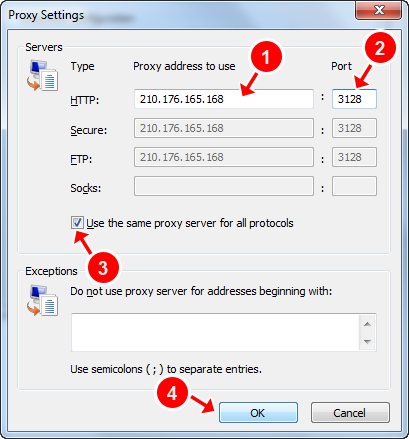 You have proxy server(s), lets say that one is: 210.176.165.168:3128. Now you will need to start Internet Explorer. 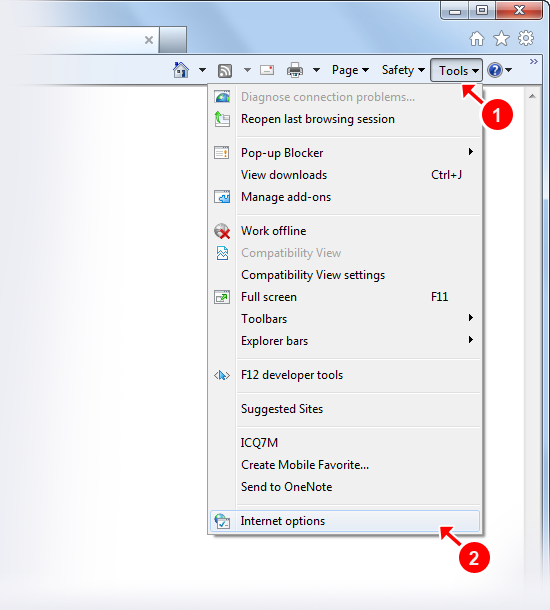 Click on Tools (circle #1) menu and select Internet Options... (circle #2) in the list as shown below. Move to the Connections (circle #1) tab. 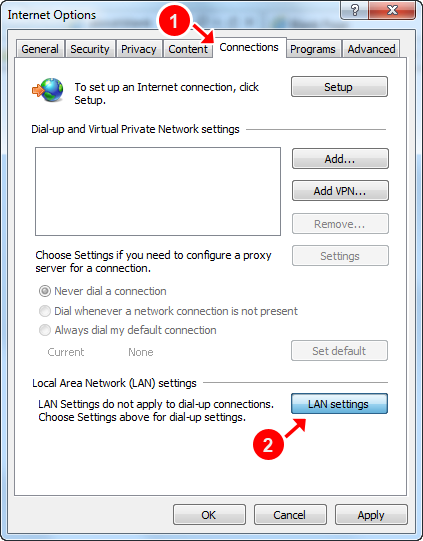 At the bottom of the window in the Local Area Network (LAN) settings section click on the LAN Settings... (circle #2) button as shown bellow. 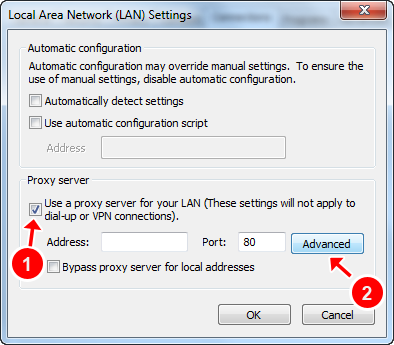 First of all check the box labeled Use a proxy server (circle #1) and after click on Advanced (circle #2) button as shown below. Now you have successfully setup proxy for your Internet Explorer. thanks for the guide. I'm not sure if this is the place, but I run a number of different browsers, and I'm wondering if there are plans for a Chrome guide as well? Thank you very much for your post, we will add step by step instruction for google Chrome within couple of days.